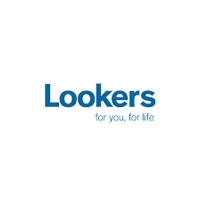 Lookers Plc (LON:LOOK), We note the recent under performance of the shares of late and believe the current price to be an attractive entry point for investors. 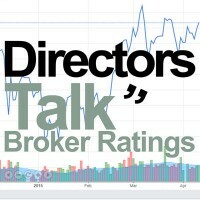 Lookers has a long track record of delivering strong execution despite the trading headwinds. The shares are -50% since the Benfield acquisition in 2015. At the current share price, the FCF yield is in excess of 12%, with a dividend yield approaching 5% and 94% of the current market cap backed by freehold and long leasehold assets. Robust Q3 statement: Despite the trading headwinds faced across the industry in 2018 the group delivered a positive Q3 statement showing good trends across used and aftersales. Clearly the weakness in the new car market has impacted the performance but the operational progress during the period positions the group well for the future backed with a strong balance sheet. Share price underperformance: The shares have under performed, down c.18% since the middle of September and down c.8% since the Q3 trading update on the 7th November. While there is trading uncertainty going into 2019E, we have maintained a cautious approach to our forecast assumptions and remain at the bottom end of the consensus range. The share buyback programme is also ongoing in the background. Valuation: Based on recently updated forecasts the stock trades on a 2018-19E P/E of 7x and an EV/EBITDA of 4x with a dividend yield approaching 5%. The level of cash generation is expected to gather pace going into 2019E as the capex cycle eases, which we believe will generate a FCF yield of 10-12% during the forecast period under benign market assumptions. The current market cap is 94% backed by freehold/long leasehold assets and we anticipate minimal balance sheet leverage during the forecast period. Investment view: The group’s track record of execution, both in integrating acquisitions and growing profits in areas such as used and aftersales, the strength of the balance sheet and the free cash flow build up from next year makes the current price look like a good entry point in our view. If we apply the pre-Brexit P/E rating of 9.0x to the 2019E earnings forecasts the implied share price is 114p, 22% above the current share price. To look at this another way, the shares are also -c50% since the acquisition of Benfield (30 dealerships) in September 2015. Over the medium term, if Lookers took its balance sheet leverage back to 1x EBITDA in 2020E, we see a scenario where it could generate PBT in excess of £80m. This is based on benign market conditions, and if valued on a P/E of 9x, this would imply a share price in excess of 150p. Click LOOK for the full archive.